China's Cabinet has released a provisional regulation on the human resources market to better support employment and entrepreneurship. 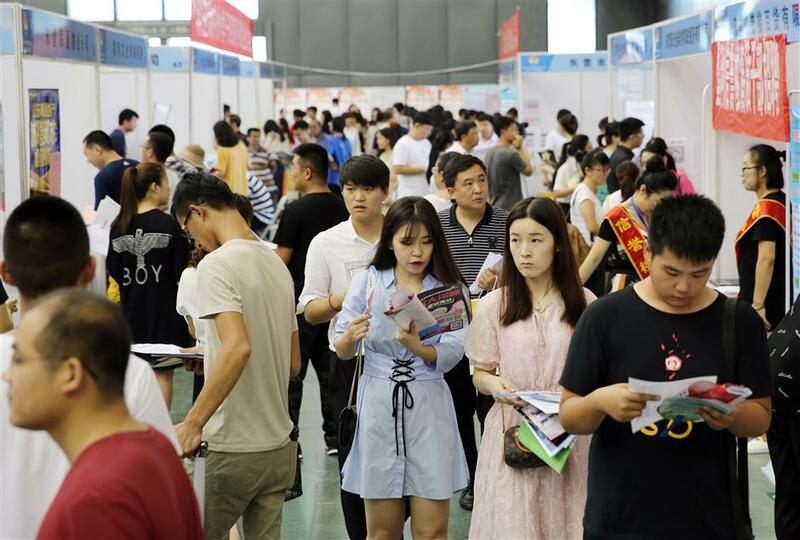 People look for jobs in a job fair in Dongying City, Shandong Province, on July 15, 2018. It is the country's first administrative regulation on job hunting, hiring, and associated services in the human resources market. The regulation will come into force on October 1, 2018, according to a decree by the State Council, signed by Premier Li Keqiang. The move is aimed at bringing order to activities on the market, promoting rational movement and optimal allocation of human resources, and supporting employment and entrepreneurship, according to the regulation. It said governments at or above county level should establish human resources market information systems that cover both rural and urban regions as well as various industries. No local authorities or agencies should set unlawful restrictions on the rational movement of human resources, according to the regulation. It demanded more reforms to streamline administrative approvals, delegate power to lower levels, and improve services. It also required efforts to improve market scrutiny and maintain order to improve the credit system.